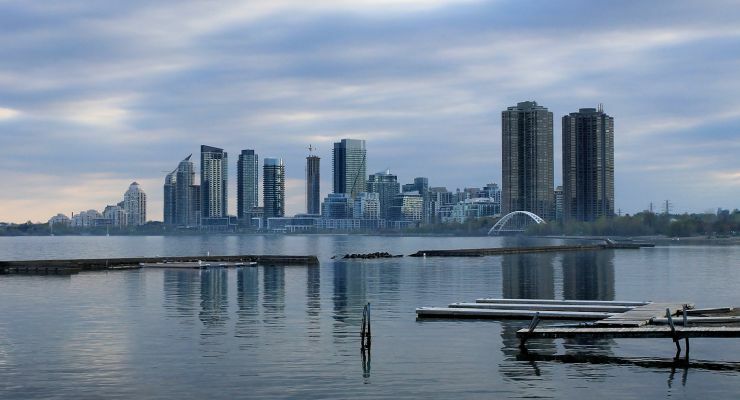 July was another tough month in real estate in the Greater Toronto Area as there were once again notable decreases in the average price of homes and the number of homes sold. In its latest monthly report released Thursday, the Toronto Real Estate Board (TREB) announced that the average price of a home in the GTA in July was $746,218 – a 6% month-on-month drop but a 5.1% increase from July 2016. While the year-on-year gains were encouraging, this was the third consecutive month of decreases in average prices in the Toronto area since the average reached a record of $920,791 in April. That means the average price has dropped 19% over three months. The pattern was repeated in all areas of the GTA. The average price of a home in Toronto dropped to $759,441 – a third straight decrease and a 19.5% drop since April. 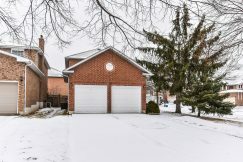 York Region also saw big changes in prices over the last few months, with a 20.6% decrease since April taking the average price down to $951,557 in July. In Halton Region, the average price went down for the fifth month in a row, falling to $834,813 from the high of $1,015,544 in February (a 17.8% drop). 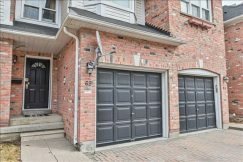 Meanwhile, the average price in Peel Region was $686,722 (a 13.1% drop from April) and in Durham Region it was $569,748 (a 19% drop from April’s high). This pattern of decreasing sales happened in all areas of the GTA but was most notable in York Region. 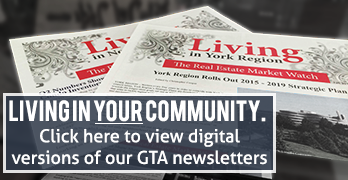 During the red-hot market of March there were 2,402 sales recorded in York. That number has fallen consistently since then (2,042 in April, 1,479 in May, 1,095 in June) and reached 804 in July. It’s also significant because it is the lowest sales total for the region since January 2015, marks a 57.2% year-on-year decrease, and, outside the quiet months of December and January, is the only time in the last six years that the number of sales has dropped below 1,000. While there were decreases in the number of sales of all the main types of home, the drop was more significant for detached houses. The number of detached homes sold dropped to 2,434 – a 47.7% year-on-year decrease, a 29.4% drop from the previous month, and a 58.7% drop from the 2017 high of 5,887 that was recorded in March. That meant the share of sales taken up by detached homes fell to just 41.1% compared to 49.1% in April. That change in market share of detached homes has had the expected effect on average prices, as cheaper homes are now taking up a larger proportion of the total. 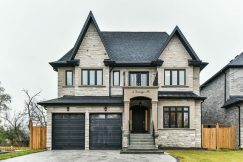 However, it isn’t the only reason – as can be seen by the fact that the average price of a detached home in the GTA fell for the fourth month in a row. The average of $1,000,336 was the lowest price since August 2016 and represents a 17.6% drop from the record of $1,214,422 recorded in March this year. Despite a recent increase in demand for new condos, there were also drops in transactions and average prices for resale condo apartments. The number of sales fell for the fourth month in a row, dropping to 1,840. That represents a 22.4% drop from June, a 43.6% drop from the 2017 high recorded in March, and a 31% year-on-year decrease. It is clear that there have been changes in the real estate market in the Greater Toronto Area and the drop in sales is having a positive impact for Buyers – giving them more choice and improving their opportunities to buy. TREB President Tim Syrianos and CEO John DiMichele noted that a few factors are affecting the market and cautioned against making judgments too soon. Only time will tell if their assessments are accurate.